After achieving international renown as one of the finest actors of his generation in films such as Saturday Night and Sunday Morning (1960) and Tom Jones (1963), Albert Finney turned director for this surreal comic twist on the ‘kitchen sink’ dramas in which he’d made his name. 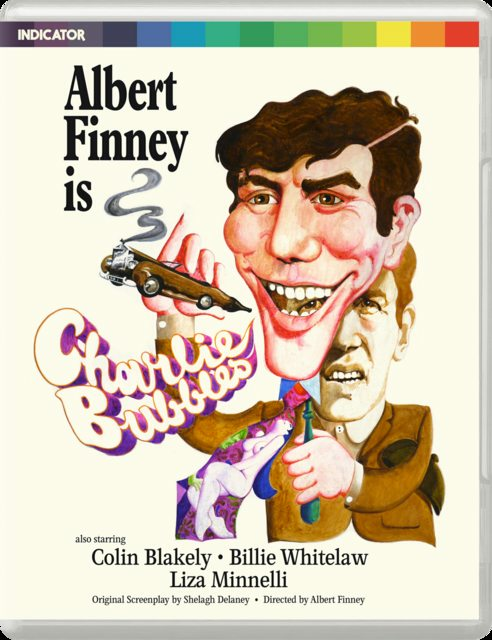 Finney plays Charlie Bubbles, a successful writer suffering a mid-life crisis, who attempts to re-connect with his northern working-class roots and estranged family. Based on a screenplay by Shelagh Delaney (A Taste of Honey), the script clearly references both her and Finney’s personal experience of their shared working class origins (both were Salford natives), and the consequences of achieving great success. 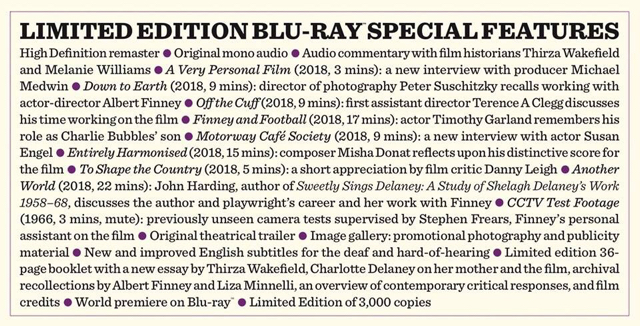 • Limited edition exclusive booklet with a new essay by Thirza Wakefield, an overview of contemporary critical responses and historic articles on the film. If they talk about Billie Whitelaw in the extras, I would be interested. Most of what I know about this film is from a Kinks song. Specs have been updated on Indicator's site and it looks like a fantastic release. It's wonderful that Stephen Frears' camera test footage still exists and is going to be included. It was a very complicated scene logistically because the individual screens (eight, if I remember rightly) were shot separately on 35mm prior to being assembled as CCTV monitors - a considerable timing challenge given that they’re all supposed to play together in the same shot absolutely smoothly, with characters regularly walking from one screen to another. One thing that multiple interviews make very clear indeed is that Stephen Frears did far more than the low-key credit “Personal Assistant to the Director” would have implied. Nobody’s arguing that Frears secretly directed the film instead of Finney, but throughout the entire production Finney needed to have someone on hand that he could absolutely trust in order to judge his performance, since they didn’t have instant video playback back then, and he knew Frears from the Royal Court Theatre and thought that he’d be a safe pair of hands. Frears had never directed a film at that point, but took to it like the proverbial duck to water (rather more so than did Finney! ), and so Finney was increasingly happy to entrust him with logistically complicated stuff that he was too busy to deal with himself.